The voters in Mississippi soundly rejected an attempt to change the state’s constitution to grant legal rights to embryos, starting at the time of fertilization. After intense campaigning by advocates on both sides of the abortion debate, about 58% of voters came out against the ballot measure. The defeat of the so-called “personhood” amendment may have had less to do with traditional abortion politics, and more to do with its potential impact on the availability of birth control and fertility treatments. Dr. Douglas Laube, the board chair for Physicians for Reproductive Choice and Health, who opposed the measure, said that because the personhood amendment called for establishing rights at the time of fertilization, it would likely have meant that birth control options that prevent implantation would have been disallowed. That includes emergency contraception and intrauterine devices (IUDs), he said. 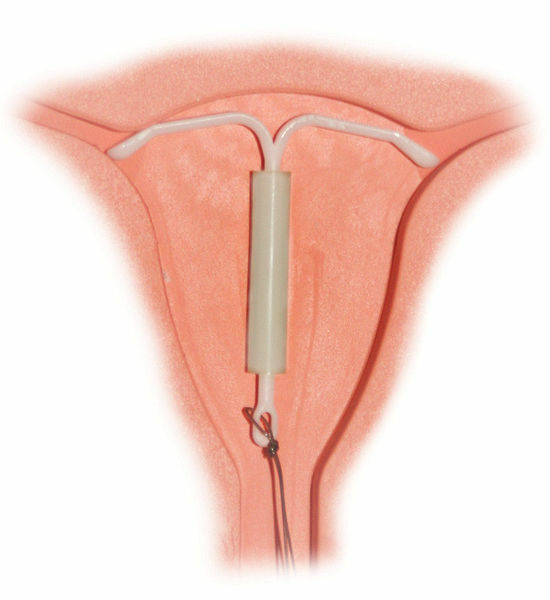 An IUD like this one might have been outlawed under the personhood amendment. Courtesy Wikimedia Commons/Gloecknerd/Creative Commons License. The personhood debate is far from over. Personhood USA boasts that it is active in all 50 states and that the group plans to keep pursuing state constitutional amendments to outlaw abortion.